Rarely do you see an anime that manages to find the perfect blend between action and heartwarming moments all while maintaining a steady pacing. this story has a slow but love-able start. when they start to introduce the "evil" of the story is where mystery, suspense and the heartache comes. the ending is fun to watch, even though i wish it was just a little longer. its been a long time since i got so into a story like this. A short but fun story! Sometimes I just feel like a quick, uncomplicated anime to pass an afternoon and this fits the bill! The story was pretty straight forward and despite only twelve episodes I think it did a great job of developing most of the characters just enough for me to care for them. I especially love the relationship between the three brothers and I wish there were more stories to tell about them. This was an enjoyable anime and I'm looking forward to the live action. Like any good anime's, I wish there could've been more episodes. Probably one of the few I have enjoyed. 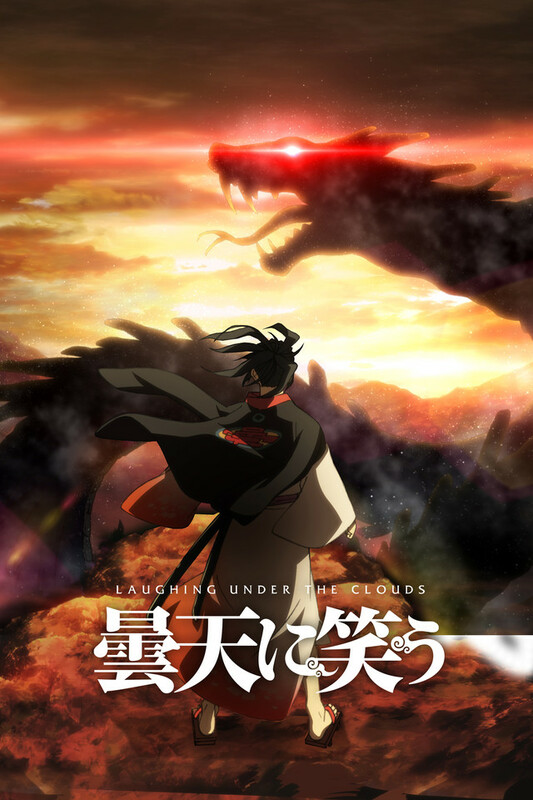 "Laughing Under the Clouds" a very nice touch of the Orochi Legend. Character's a bit overpowered? I guess you can say that but they're really awesome too! This has been my favorite anime for about 2 years, going on 3. It has such lovable characters and it even got me to cry a little bit. Super memorable anime and if there was available merchandise for it I would undoubtedly buy it. Also if you're as into this anime as I as am you should check out the manga for it and maybe some of the mangaka's other works. I have mixed feelings about this anime but in the end I have to admit it was really wonderful. The plot, characters, etc all feel like they could have been a mix-match from other animes but this show manages to make it feel different enough to be enjoyable. I wasn't particularly happy with the character development. The brothers seem to change a bit half way through and then revert back in the end like nothing ever happened. In a way it was kind of cute how they developed but it ended up making me feel like none of them gained any experiences and it made the characters seem hollow. Overall, this anime doesn't really bring much new to the table but it still presents itself in a way where it is pleasant and fun.